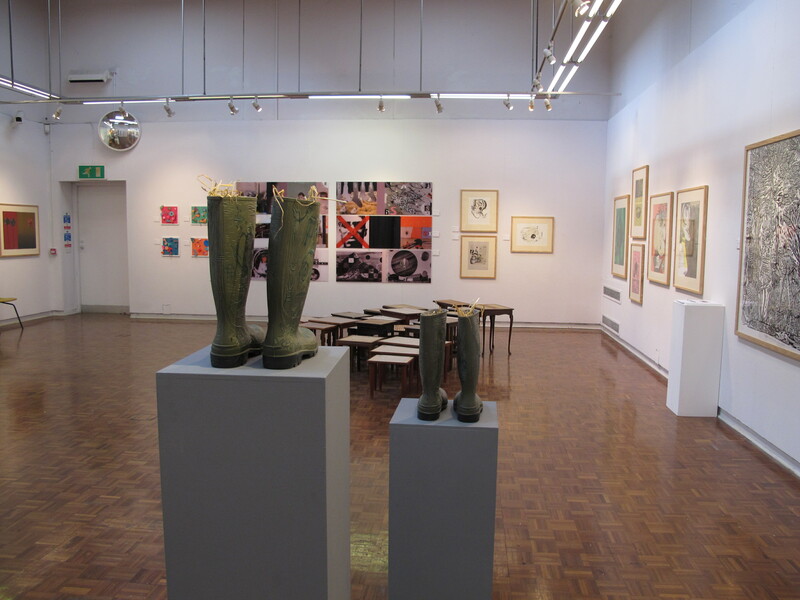 It happens in several venues – the gallery, the library foyer, upstairs and also in Yale College. 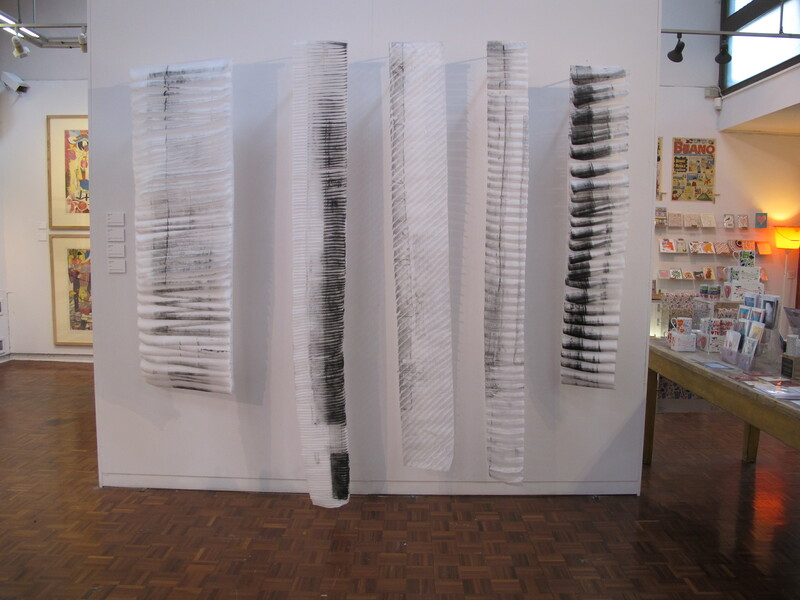 I particularly liked Dionne Swift’s collographic print on stitched organdie. Her website is worth a visit. A textile artist using textiles creatively and imaginatively and I find myself thinking of new and similar ways to use paper paint and all the trappings of painting. I use devoré processes on velvet to explore the changing structural qualities in the landscape. I aim to allow the processes selected to add to the development of the work. The techniques used are as important as the imagery depicted. The devoré process was developed on C17th France as a means of creating a poor man’s lace. Devoré – to devour – to eat away/to burn out. The fabric I use is a combination of silk and viscose, the devoré process removes the viscose pile. glad you liked my work. I should mention that these pieces are collagraphs on cloth rather than devore pieces – I do work with a large range of different textile techniques so it’s easy to be confused.